A mining magnate announced his intention on April 15 to re-open his metal refinery in North Queensland and to settle all outstanding entitlements for workers who lost their jobs when the refinery was shut down back in 2016. Clive Palmer has promised to pay any outstanding wage entitlements to workers who were laid off three years ago from Queensland Nickel’s Yabulu Nickel Refinery in Townsville. Although Palmer said he would pay up to A$70 million ($50.2 million) owed to former employees at his refinery, he continued to deny he made the decision to let them go. He previously called on the Queensland Government to lend A$35 million ($25.1 million) to bail-out the company and, when the left-leaning Labor government in power refused, he blamed the closure on the state government. The federal government also refused to loan the money. The businessman told reporters on April 15 he would cover the costs while also maintaining that in his view, none of his companies were responsible for sacking anyone. Queensland Nickel owed debts of about A$300 million ($215 million) to creditors when it collapsed in 2016. 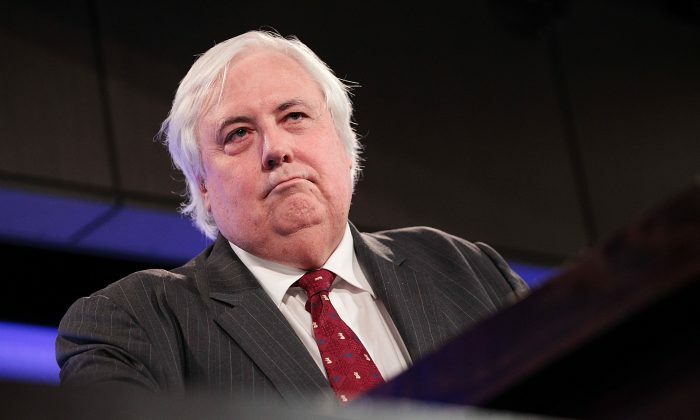 The announcement comes as Palmer stages a potential political comeback. He is waiting to find out if his own United Australia Party will pick him as its candidate for the Townsville seat of Herbert, currently held by Labor incumbent Cathy O’Toole by a slim margin of just 37 votes. Palmer is seeking to restart the refinery, at a time when the price of nickel is rising. Taxpayers stumped up A$70 million ($50.2 million) owed to Queensland Nickel workers; money that liquidators have been tasked with recouping. The managing director of Palmer’s QNI Resources company issued a statement as he addressed media in Townsville to call on the state government to approve plans to get the refinery back up and running. Nui Harris urged Premier Annastacia Palaszczuk’s government to expedite port, rail and plant infrastructure proposals. “Now is the time for the Premier and her Government to do their part and get behind securing approvals so the refinery can be recommissioned and the good people of Townsville can have jobs,” Harris said. Harris said Townsville Mayor, Jenny Hill, also needed to get behind the project so jobs could be created immediately.